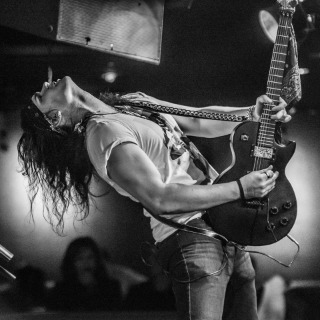 Founder of Shiver, Justin quickly fell in love with Rock'n'Roll after hearing Zeppelin's Black Dog at age 14, and soon after bought an #electric #guitar and began writing. Originally from Madison, Wisconsin, I made the pilgrimage to Los Angeles in 2014. Self-taught on the guitar, #piano, #bass, #drums, #harmonica and #vocals, Justin is influenced by a range of artists including Jerry Lee Lewis, Aerosmith, Guns N Roses, Franz Liszt, Richard Wagner, and many others.